During presentation it was highlighted that during the previous year, the OS of BiH carried out the mine action operation at 3,005,257 m2 of BiH territory in scope of 31 municipality, where 76 projects were implemented and where they succeeded to find and destroy 32 anti-tank mines, 547 anti-personal mines and 168 of UXOs. 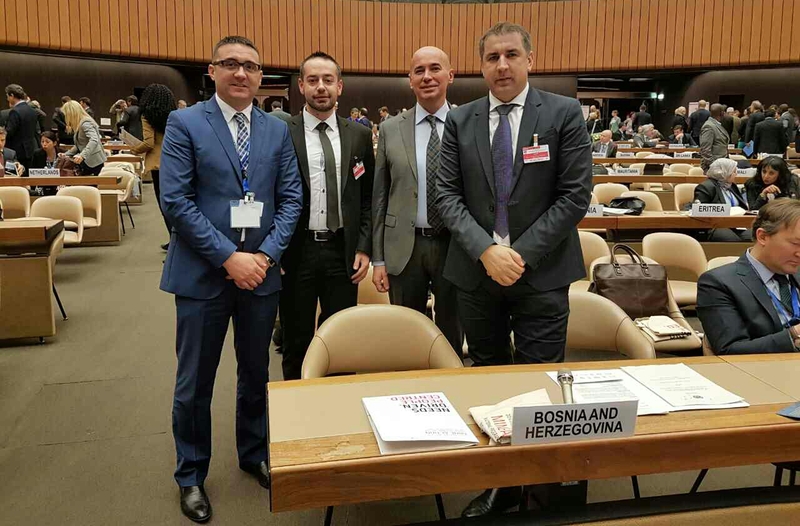 It has been also emphasized that there are no residual mines in projects implemented by BiH Armed Forces demining cell and no demining accidents. There is also significant contribution of BiH Armed Forced through the realization of the project “Country assessment of mine suspected areas in BiH 2018-2019” on the initiative and funded by the European Commission in BiH. Project is mutually implemented by BHMAC, Norwegian Peoples Aid and BiH Armed Forces. 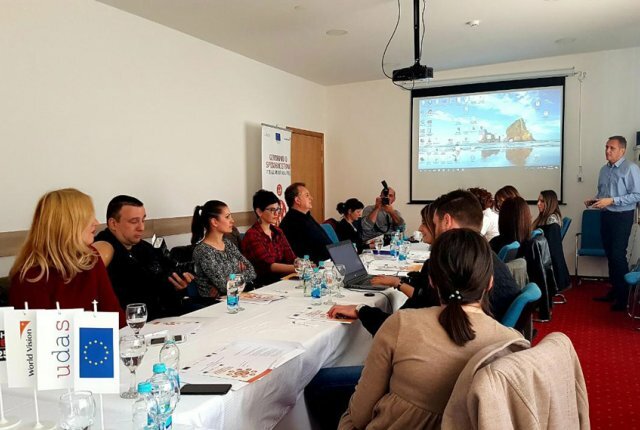 The aim of the project is to increase the efficiency of mine action operations in BiH through the application of a general assessment of mine suspected areas and their influence on impacted communities. Two survey teams of BiH Armed Forces are involved in the Project with a plan of 150, 79km2 to be processed and returned for further use. In addition to other methods, BiH Armed Forced will use drones to scout the mine suspected areas from the air. The Head of the European Union delegation, Lars Guner Wigenmark, pointed out that the European Union will continue to support the mine action in BiH in amount of 10 million euros in the next period, and that the mine action activities implemented by Armed Forces will be one of its major priorities until final goal “BiH free of mines” is reached. Presentation was attended by deputy Chief of Joint staff of the AF BiH, General major Ivica Jerkic, Parliamentar Military Commissioner Boško Šilјjgovic, head of European Union delegation Lars Guner Wigenmark, EUFOR Commander Genera lmajor Martin Dorfer, Armed Forces Generals, representatives of NATO headquarters in Sarajevo, military diplomatic representatives in BiH, delegation of the European Commission, representatives of the BHMAC and Demining Commission, representatives of municipal authorities and other international and domestic institutions and organizations. by administrator · Published 07. 02. 2017. · Last modified 29. 01. 2019.